There was an article on the BBC website last week entitled Maths study shows conspiracies prone to unravelling. The idea is that conspiracies involving large groups of people can be modelled as a Poisson process (like radioactive decay), in which there is a small but finite probability that, in any given interval of time, one of the individuals involved will “blow the whistle”. Cumulatively, over several decades and with thousands of people involved, the likelihood of the conspiracy remaining secret will (according to the study’s author) shrink down to almost zero. In principle the same is true of any secret shared by a group of people – for example stage magician’s tricks, movie scripts (while they’re still in production), the design of the next iPhone, soft drink recipes, etc, etc… and you hardly ever get whistleblowers in those situations. 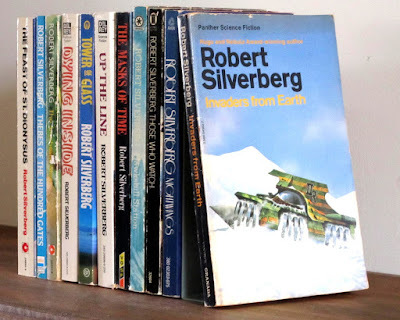 The big difference with conspiracies is that the secret is profoundly unethical – which brings me on to the novel pictured above: Invaders from Earth, by Robert Silverberg. 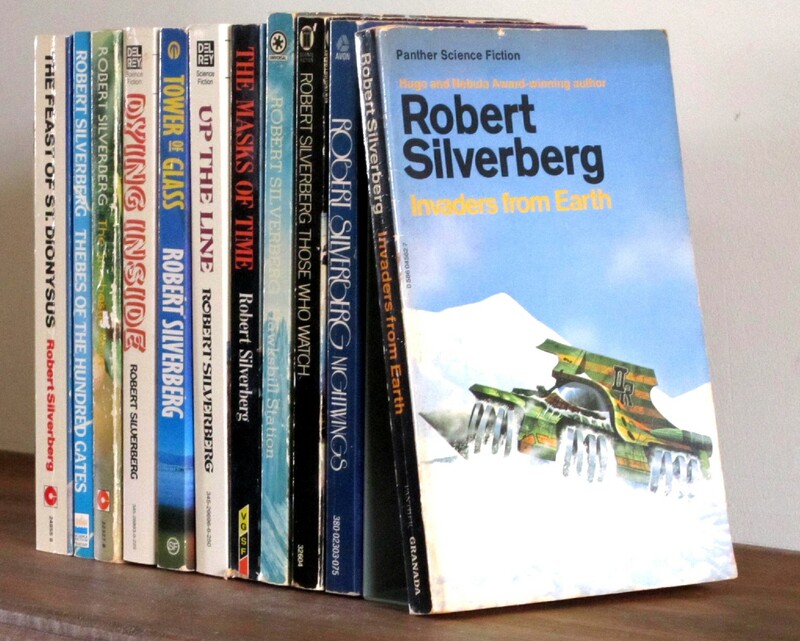 I’ve always been a fan of Silverberg, who strikes me as one of the most knowledgeable and deep-thinking of science fiction writers. Most of the novels I’ve read by him date from the late 60s and early 70s, but Invaders from Earth was first published in 1958, when he was just 23. I decided to get hold of a copy after I came across a review of it a few weeks ago. The British reprint I found on eBay dates from 1979, but I don’t think it differs significantly from the original. It isn’t Silverberg’s best work, but it’s an impressively mature and intelligent novel for a 23-year-old. And it’s all about conspiracies, ethics and whistleblowers. Taking place in 2044, the story’s main protagonist is named Ted Kennedy (no connection to the politician of that name, who would have been virtually unknown in 1958). Kennedy is a middle-ranking executive in one of New York’s top PR firms. He enjoys his job, which is essentially creative – manipulating the public’s thought processes in favour of whoever happens to be the agency’s current client. At the start of the novel, the agency acquires the most prestigious client of all – the Extraterrestrial Development and Exploration Corporation. Using private capital, the Corporation has gradually risen to “become virtually a supranational state, with lands of its own, police of its own, a spacefleet of its own”. Having found Venus and Mars to be uninhabitable, the Corporation moved on to Ganymede – the largest of Jupiter’s moons – which is much more suitable for exploitation. Unfortunately, Ganymede is already occupied by wise, friendly, peace-loving natives with an ancient culture of poetry and philosophy (but not science or technology). The situation comes across (although Silverberg never says this explicitly) as an interplanetary analogue of the European conquistadors versus the Maya in the 16th century. The only way the Corporation can get its greedy hands on Ganymede is to wipe out the natives, but it doesn’t have the military resources to do that on its own. It’s going to need the backing of a United Nations resolution – and how can it get that if the public knows the true nature of the Ganymedeans? That’s where the PR firm comes in. In a moment of inspiration, Kennedy himself hits on the line to take. They will create a completely fictitious human colony on Ganymede, complete with women and children (actually there are just a handful of middle-aged male scientists there). Over a period of five months, through a series of press releases and human interest stories, the public’s affection for the colony will gradually be built up. Then in a sudden shock move the natives will “massacre” every non-existent man, woman and child… and the stage will be set for a UN resolution. Initially Kennedy – the archetypal company man – sees his idea as nothing but a superlative creative achievement. Improbably (but necessary to the progress of the story) his wife is his political opposite – a free-thinking liberal. Equally improbably, he tells her the whole plan, and is shocked when she tells him it’s unethical. To him, “ethics” is just a strange kind of personality disorder. At this point in the real world, the wife would blow the whistle to the media herself, and Silverberg would be left without a story to write. Instead she simply walks out, leaving him to gradually work his way round to seeing the Ganymedeans as the good guys and the Corporation as the bad guys. By this time (about two-thirds of the way through the novel) Kennedy is on the run, and it finally comes down to the question the reader has been waiting for – will he live long enough to blow the whistle and destroy the Corporation, before the Corporation succeeds in destroying Ganymede? Not surprisingly, the last third of the book is the best bit! 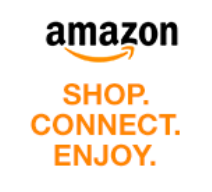 Yes, items get added to the list quicker than you can tick them off, don't they? No sooner had I posted this than someone left a comment on Facebook recommending another Silverberg novel I ought to read (The Book of Skulls - you can't lose with a title like that).